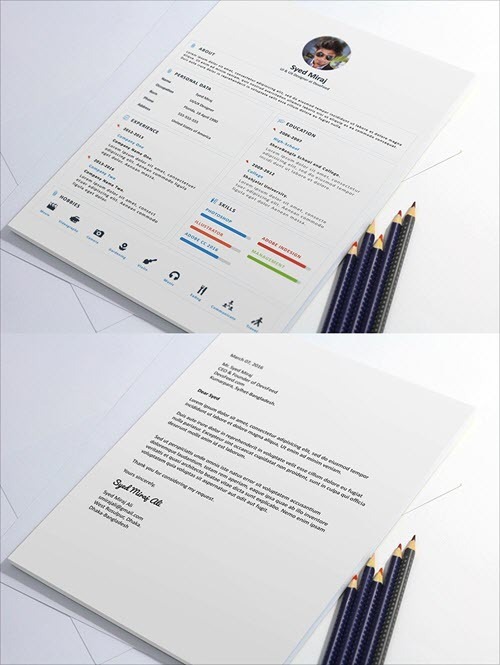 When it comes to sending your CV or resume to potential employers, be sure that it will take no more than 10 seconds for recruiters to look through your resume in order to give a thumb up or down for your candidacy for the position o interest. 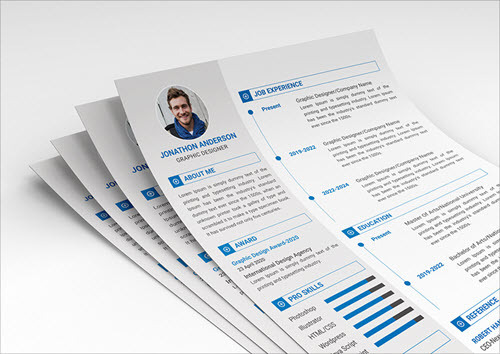 That’s why your resume should be both informative and good-looking. 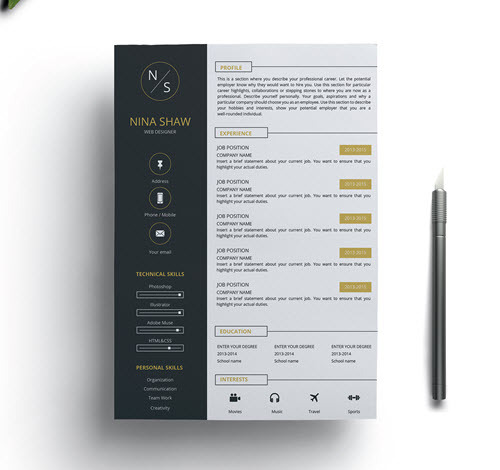 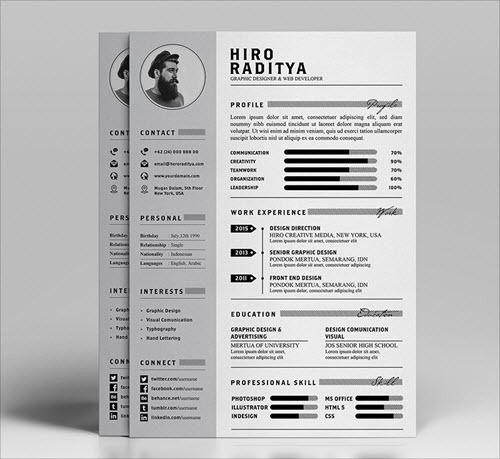 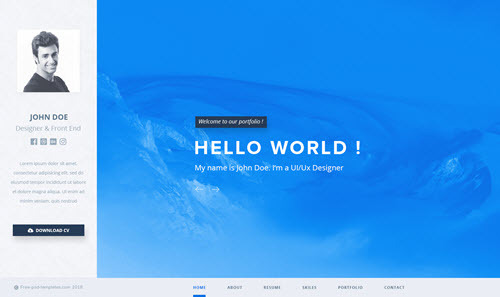 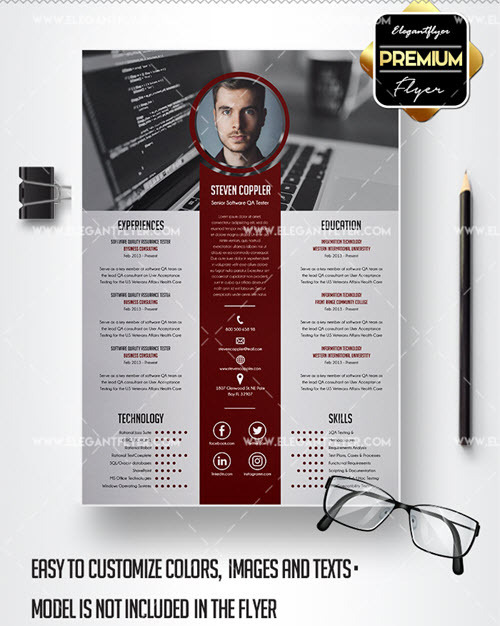 The below free and premium resume + cover letter PSD templates have a simple but attractive layout which allows putting all your personal and professional details in a well-ordered and structured manner. 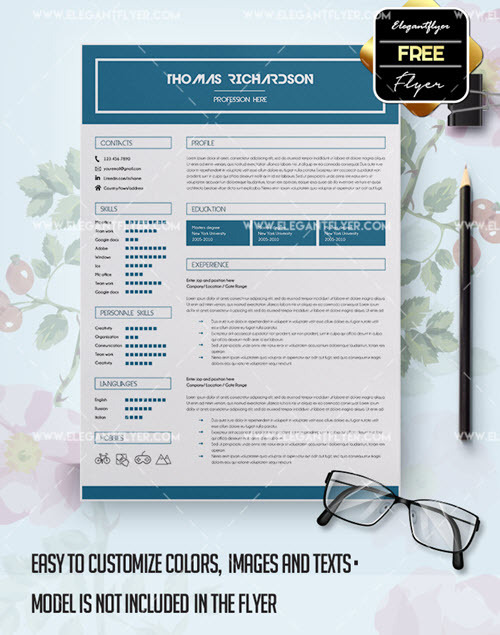 All the resume templates are provided in a fully customizable PSD format along with smart objects which allow changing, adding or deleting any element you wish without any hassle. 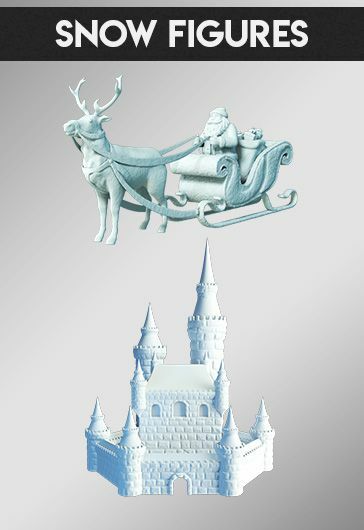 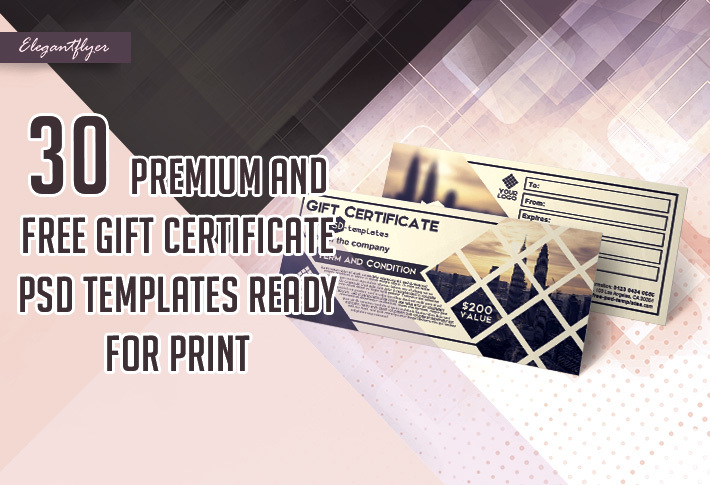 The customization is a piece of cake. 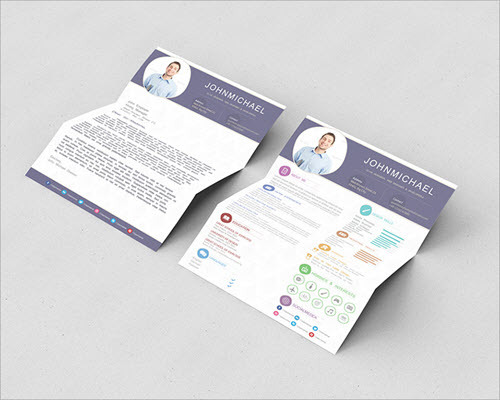 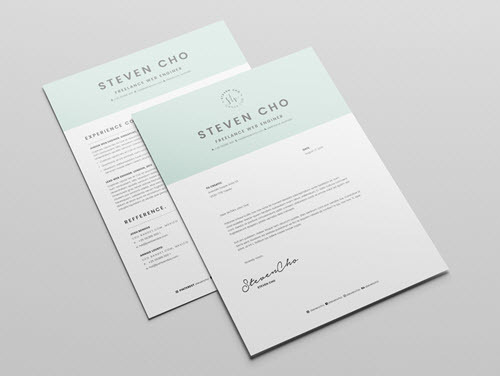 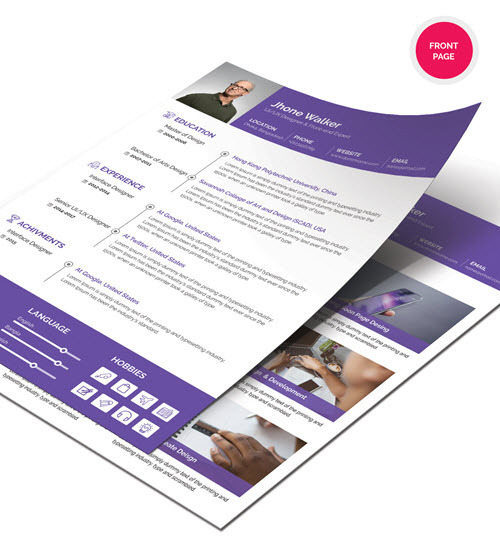 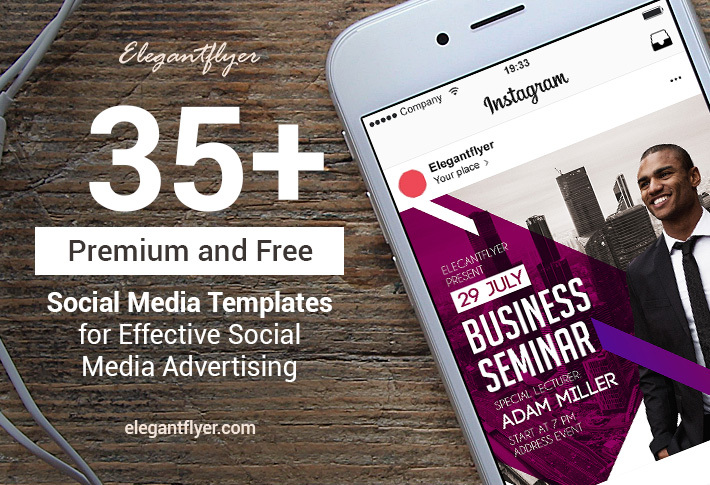 These premium and free PSD resumes with cover letters will fit any profession and expertise. 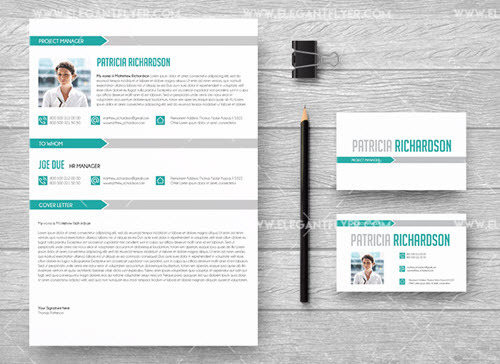 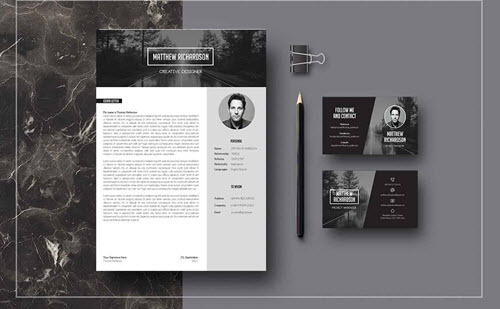 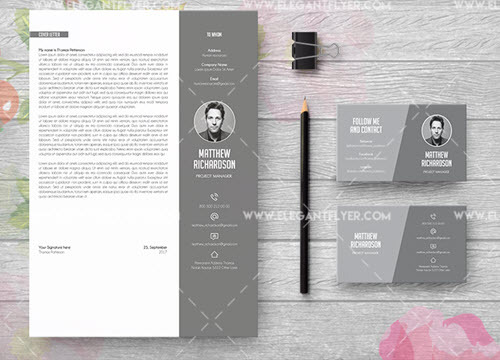 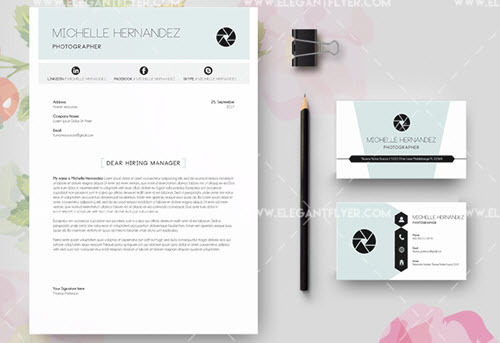 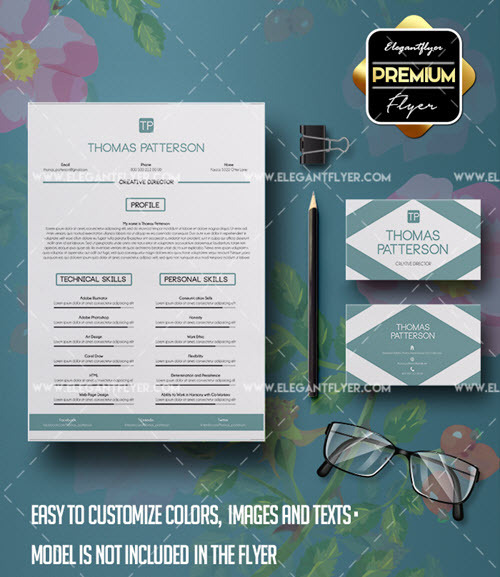 You will find one-page simple templates for people with little experience and skills, or 2- and 3-page PSD resume template kits which come along with a cover letter and business card templates. 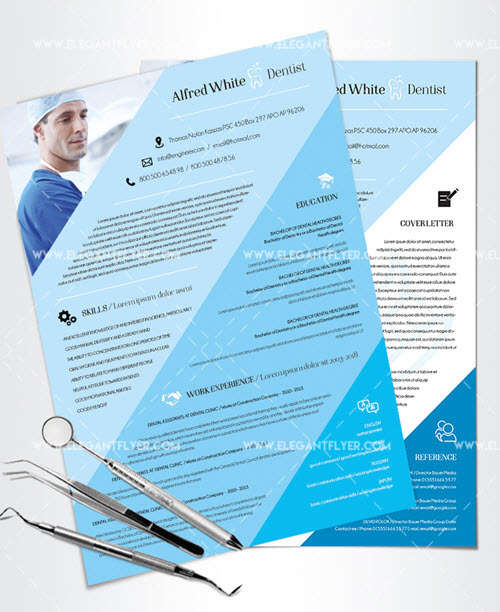 Any professional will find a resume which will fit his personal and professional needs. 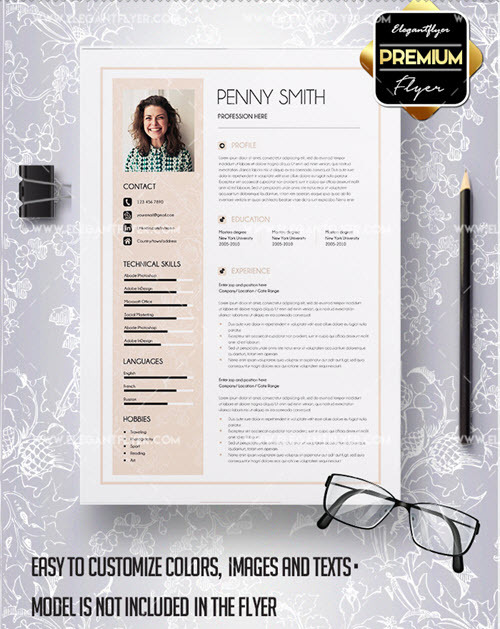 Feel free to download any of the latest fresh resume template freebie or premium design today and get a job of your dreams tomorrow! 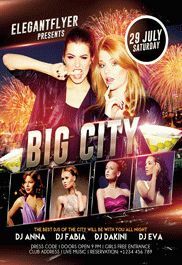 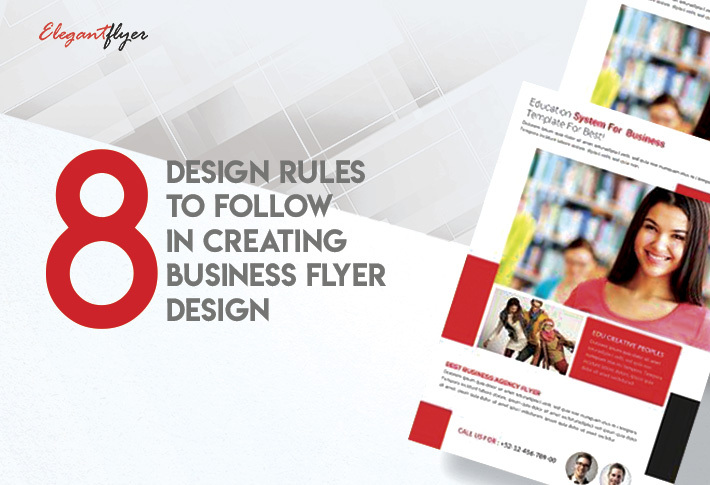 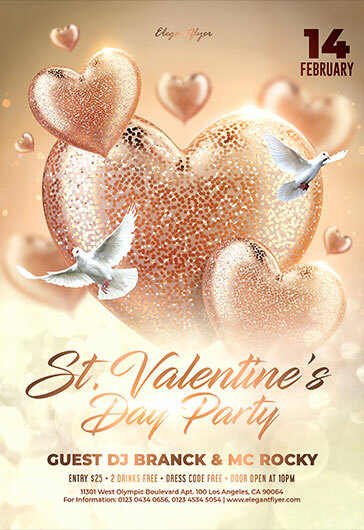 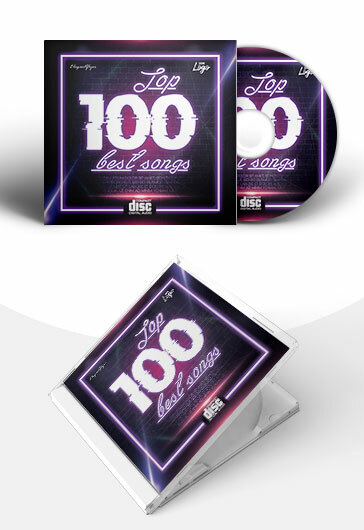 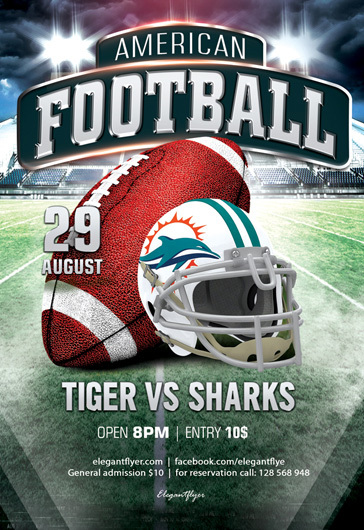 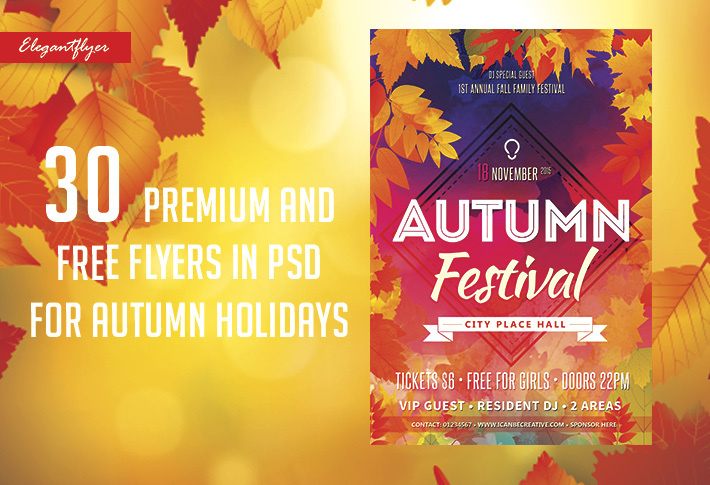 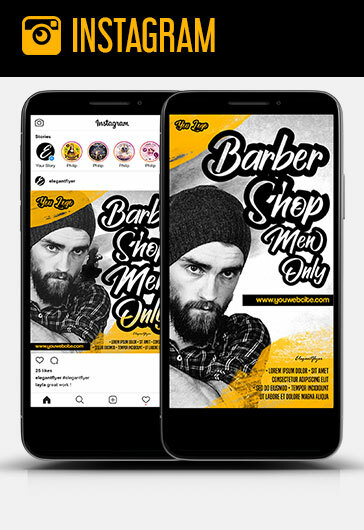 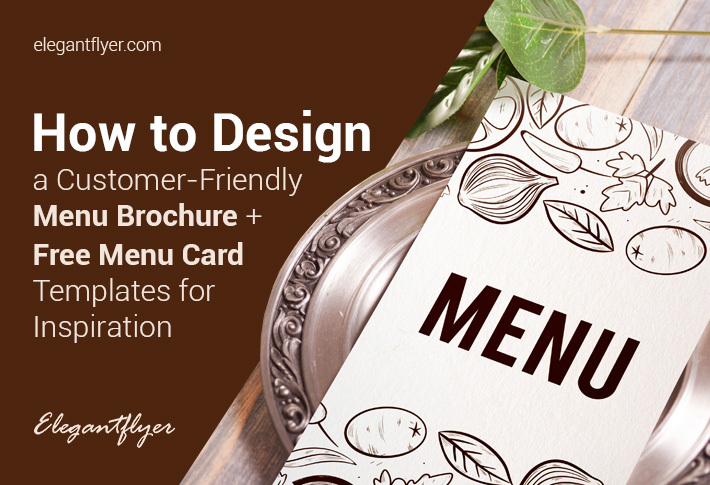 Our website is a one-stop place for graphic design experts, With our high-quality professionally free brochure PSD templates and free flyer PSD templates you can get the best ever results and enhance your effectiveness, rate and expertise as a print media materials designer.